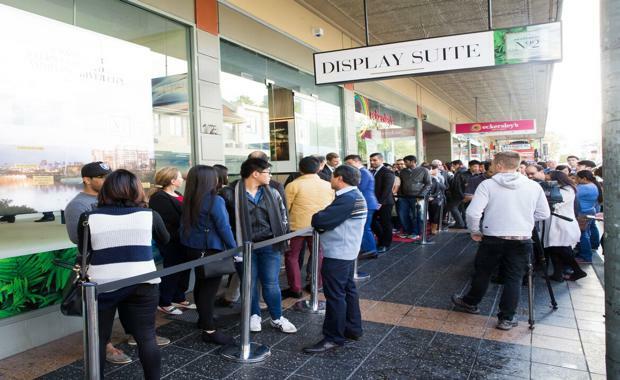 Buyers queued up for hours for the official launch of Starryland's new $314 million Promenade 2 development in Paramatta over the weekend, with more than 100 of the 198 apartments snapped up on the first morning. Located on the Parramatta riverfront at 2 Morton Street, Promenade has been designed to capture river and city views. Approximately 60 per cent of the buyers were owner occupiers. Promenade No 2, is the first overseas project for Starryland Australia, a local division of the Chinese publicly listed company, Fuxing Huiyu Real Estate Co Ltd based in Wuhan, China. Luxury one and two bedroom riverside apartments start from $518,000 with the project comprising a private residents’ podium garden and a ground level retail plaza. Construction on Promenade No.2 will begin in December with completion proposed for early 2018.